Hi everyone! 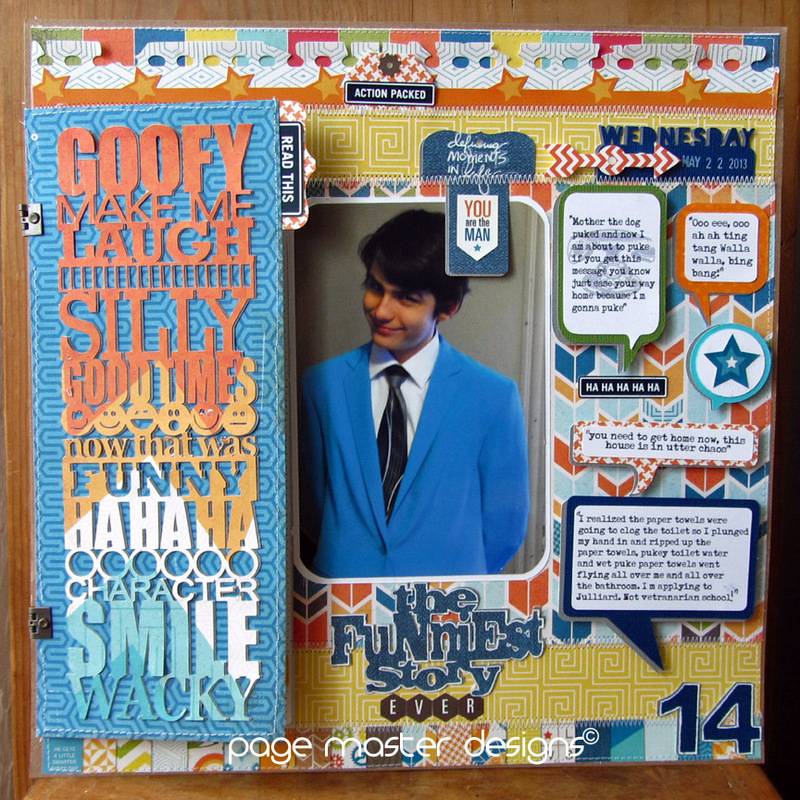 I am here today with a layout for the color challenge over at The Memory Nest. 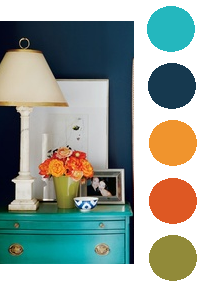 I was SUPER excited when I saw these colors. I knew instantly what I wanted to use for this challenge...Echo Parks "All About a Boy" designed by Lori Whitlock. It's no secret I am a HUGE fan of Lori's and these papers just make me swoon. I actually think I need to go buy another paper pack...and if you know me...I usually use a line once and get bored with it. Not this one! It's just too fun! I had no idea what I was going to scrapbook and then Wednesday night the best and funniest thing happened while I was out for all of 30 minutes. 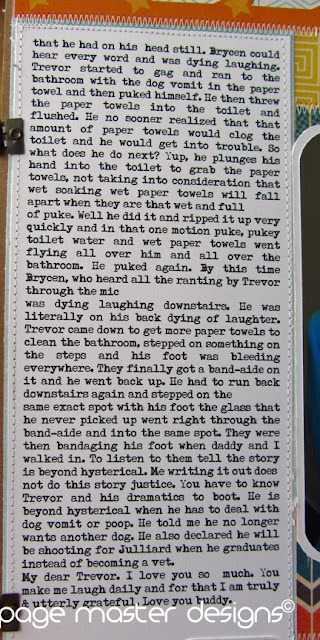 My boys recounted the story to me and dh when we got in and I have been laughing about it ever since. 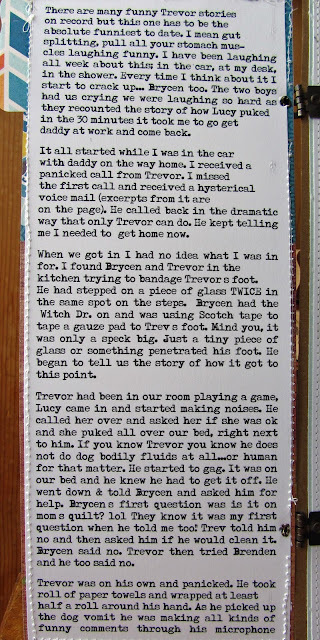 I even used some quotes from the voice mails I received from my panic stricken son. 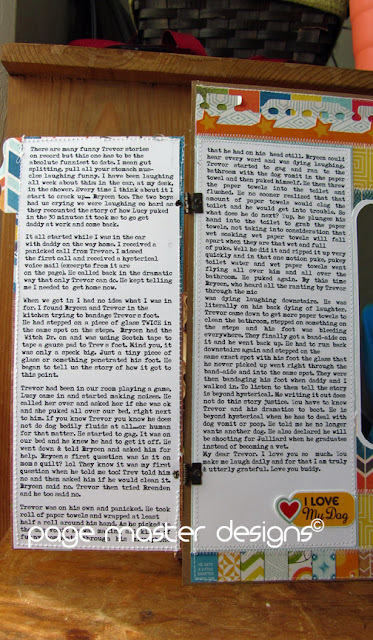 While I captured some of the story with the journaling quotes I still needed to tell the whole story. It's a long story and I didn't want to go to 2 pages. The easiest way to do this is to hide the journaling. I trick I learned a long time ago and utitilize it ofen. That panel on the front with the subway word art is the perfect spot to hide journaling. it lets you get a lot in there. I have two 4x10 journaling spaces in there. I used some old hinges from Making Memories that I had to hold it all together. 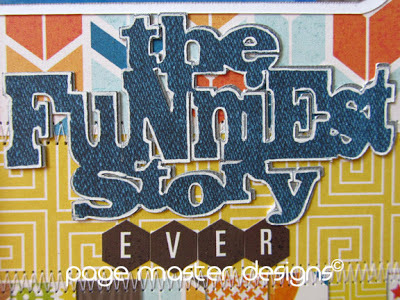 The cover of the journaling needed decoration so I used this really cool patterned paper from the kit and cut the design out of my Silhouette. I cut it again out of gray and mounted them together using spray adhesive and then attached it to the front after everything was done. The gray paper gives it nice dimension and a shadow effect. The title for the page was also cut out of some of the patterned paper. I created the title myself in my Silhouette software. I welded it together, cut it out and then edged it with a white gel pen. I also cut it out of gray like the subway art above. Some of the letter stickers from the kit made a nice finish to the title. I love that hexagon shape. A close up of that tag strip. the tags are from the Silhouette store. They too are by Echo Park. I just can't get enough of their stuff! 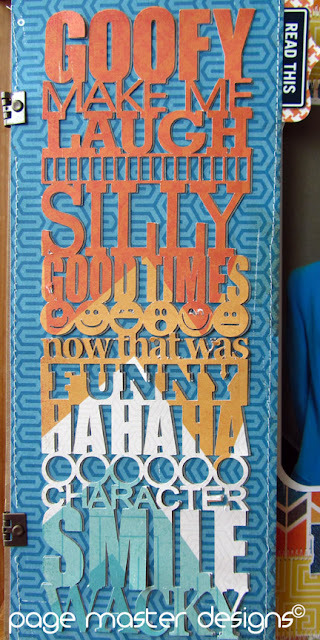 The hahaha is a print and cut from the Silhouette store also. I printed them on photo paper and I use Soft Gloss so they have a nice little sheen to them. I used border stickers from the kit (starts), I die cut the notebook paper (Kerri Bradford) and used a Lori Whitlock tag that i added a gear sticker to the hole and added another print and cut to that. The book mark is also cut from my Silhouette and I used a Technique Tuesday stamp with Colorbox White Frost on it. I kind of smeared it so I traced over it with my white gel pen. I like how it looks shadowed. 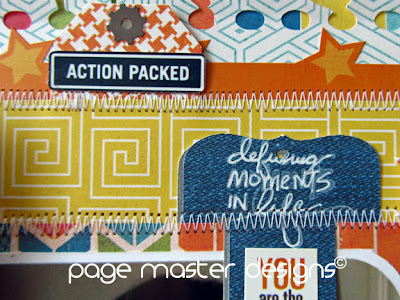 The date stamp here is from Studio Calico and the arrow is part of the sticker kit. I stamped a Hero Arts telephone on the tag that had the voice mail quote in Soft Stone. The orange dot paper is Bo Bunny. I pop dotted some of the tags but not all of them. 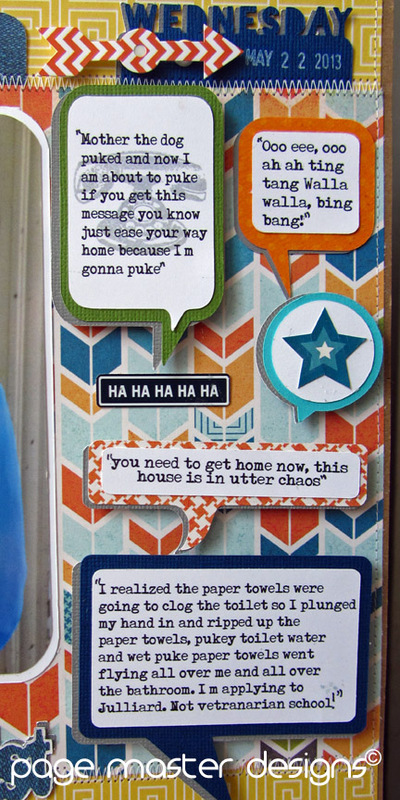 I also layered each one on gray cardstock like I did all the lettering. Thanks for stopping by. 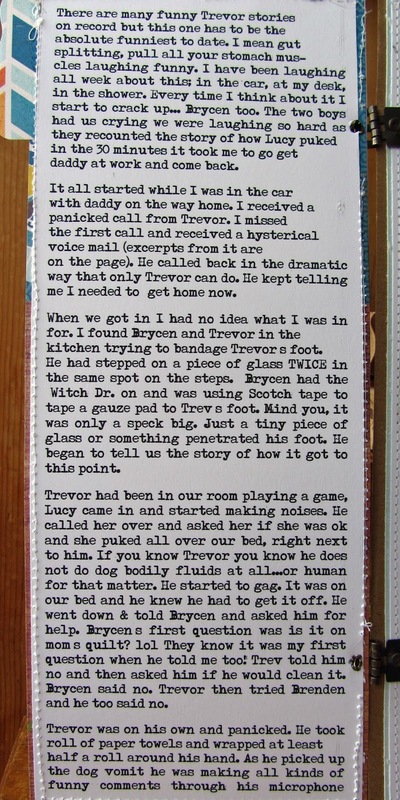 Be sure to check out what the other girls did over at The Memory Nest. I hope you choose to play along. 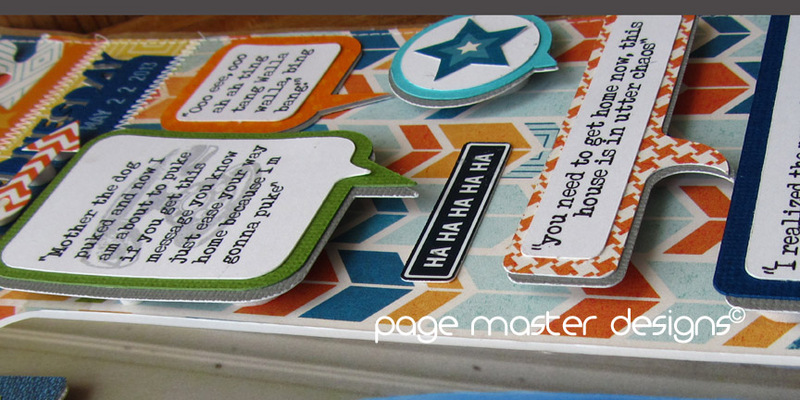 You don't have to scrapbook...you can make cards too. 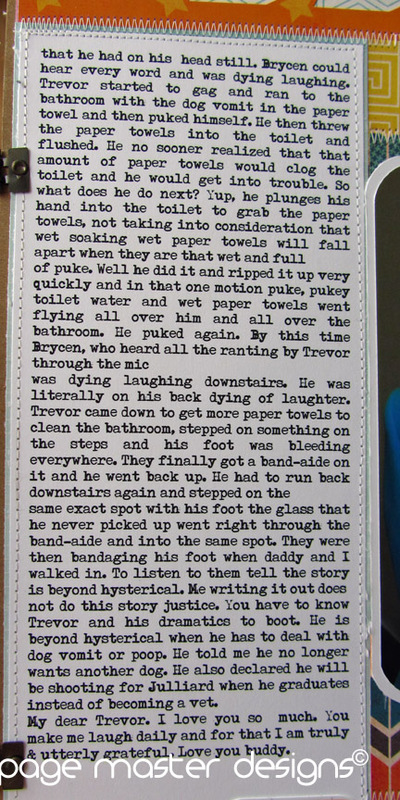 In fact, I am off to make some boy cards with this paper line. Have fun! Michelle, this layout is amazing. I love all the sewing, the subway tile title, how you hid your journalling and used the hinges. Great page.